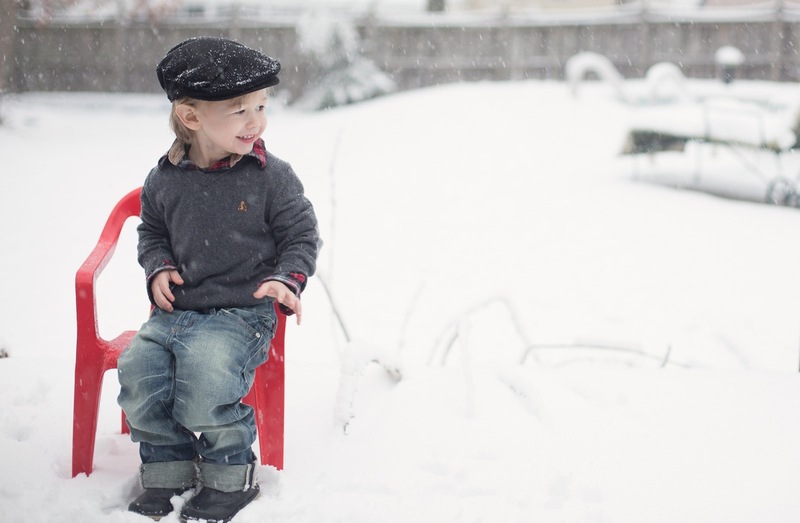 A perfect beautiful backdrop is waiting for you and you can’t wait to get out and take photos of your little ones playing in the snow. 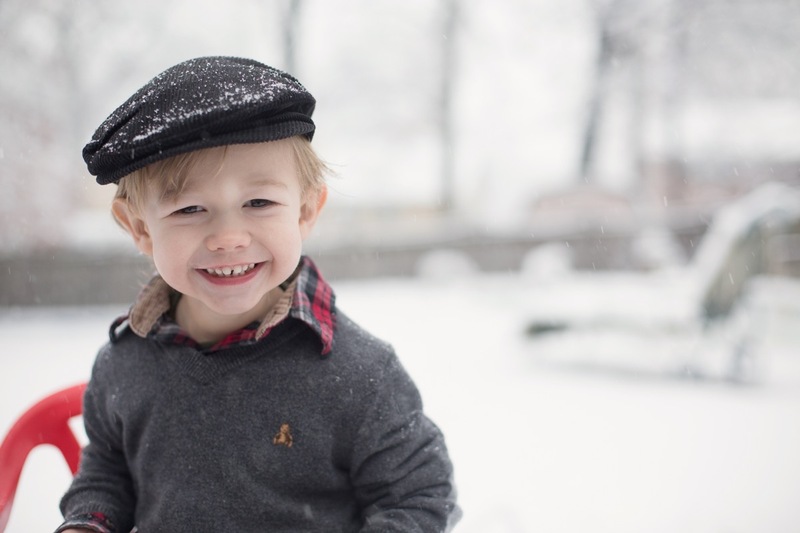 Today I’m going to share just how to make the best of Mother Nature by giving you some tips on photographing children in the snow. I know you’re eager to get outside but make sure your child is just as eager. 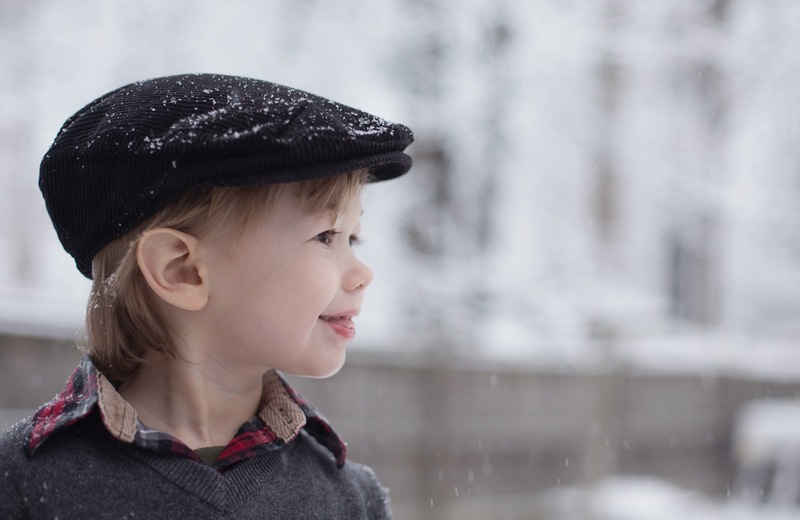 Fill their bellies with a nice breakfast, dress them for the weather and talk to them about the snow to get them excited about what’s to come. 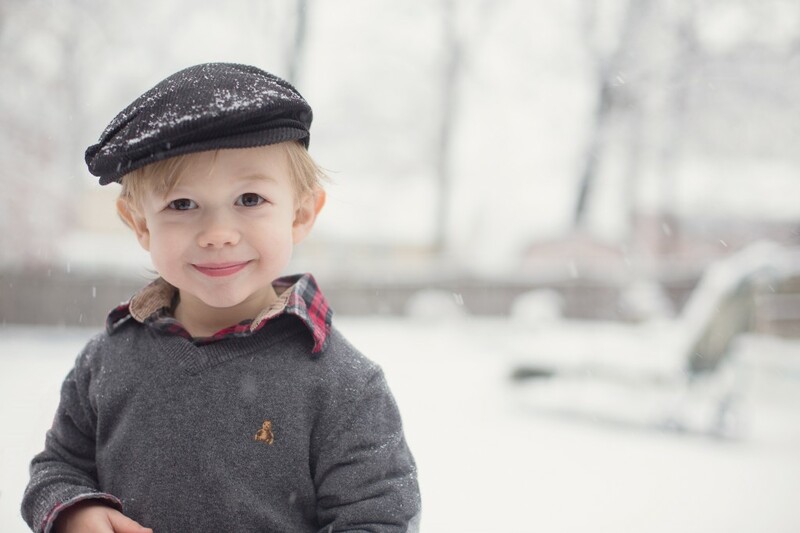 Layer clothing and grab a fun hat! 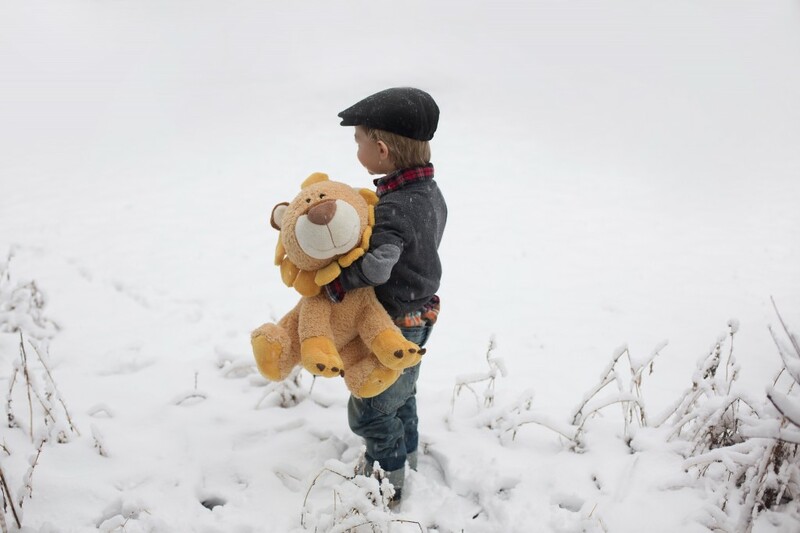 My little guy hasn’t had much time with the snow and he can be a little apprehensive when it comes to new experiences so I let him take his stuff lion out with him. Make sure your child is comfortable with their surroundings. Get on their level. Kneel down to their level so that you can view the World as they see it. Talk to them about the snow. 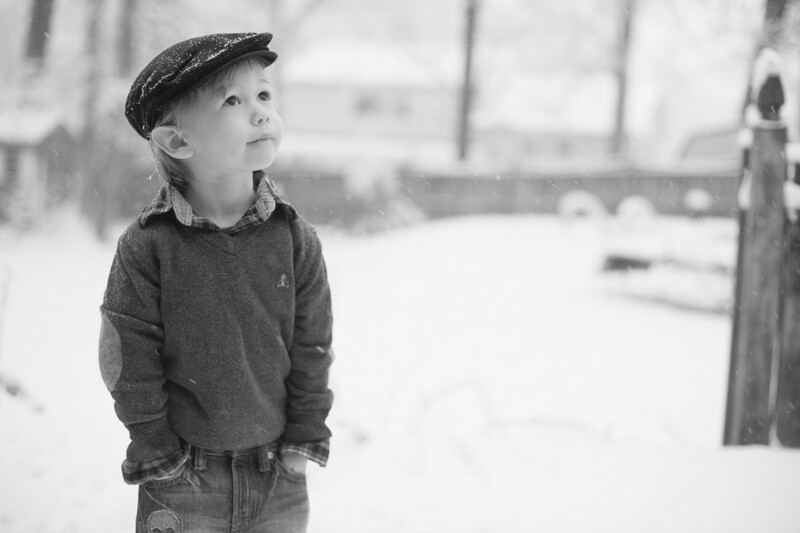 Have them look up into the sky and look at the snow covered trees and the snow on the ground. This will give opportunities for “discovery” photos where you can then capture them exploring and discovering the World around them. Pull out a prop! I chose a small red chair. 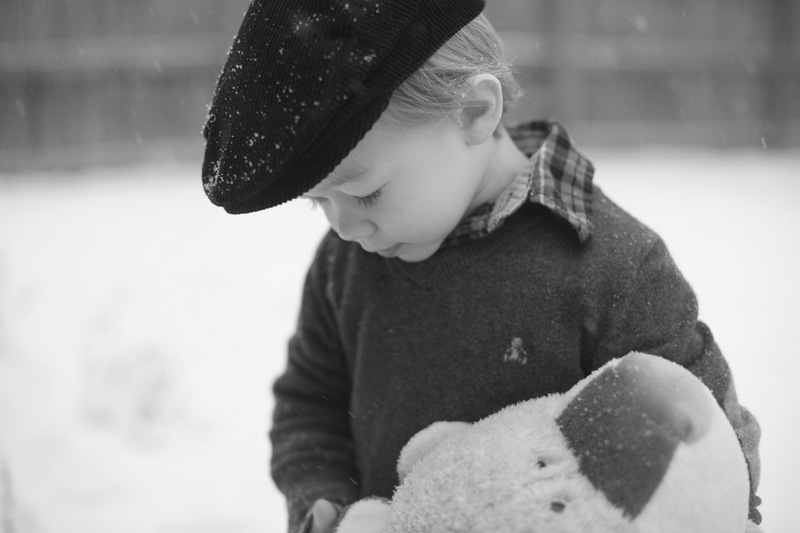 A prop will give contrast to your photo against the white, snowy backdrop. Have your child sit down and have a conversation with you! 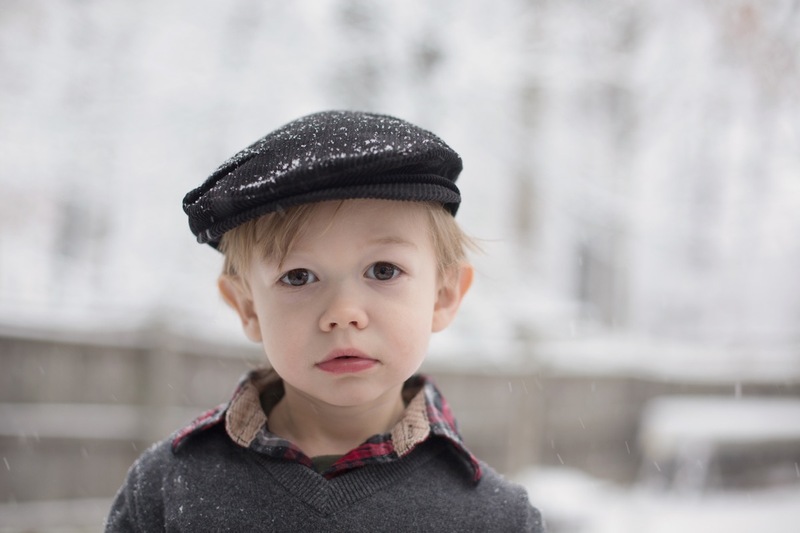 Put the camera aside in between questions and listen to what your child is saying to you. You will get genuine smiles and sweet looks by doing this. Don’t forget the details. 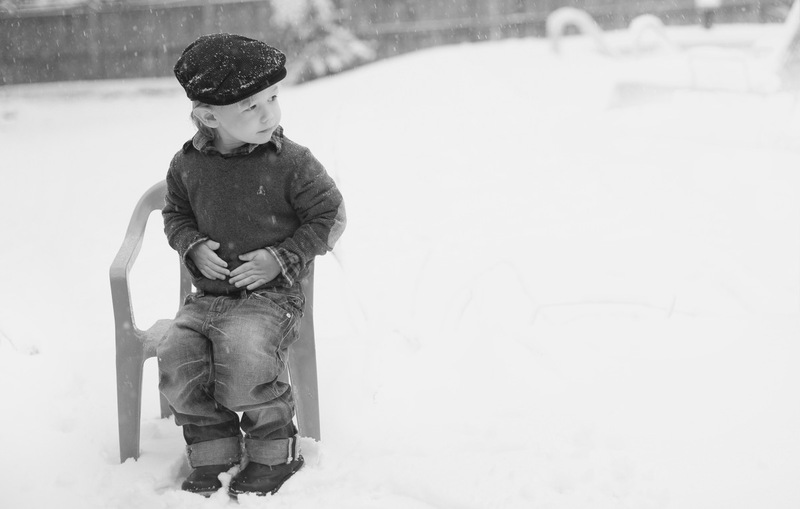 Snow falling on eye lashes, gloves packed with snow, messy boots or in this case, keeping a chilly hand in a pocket. 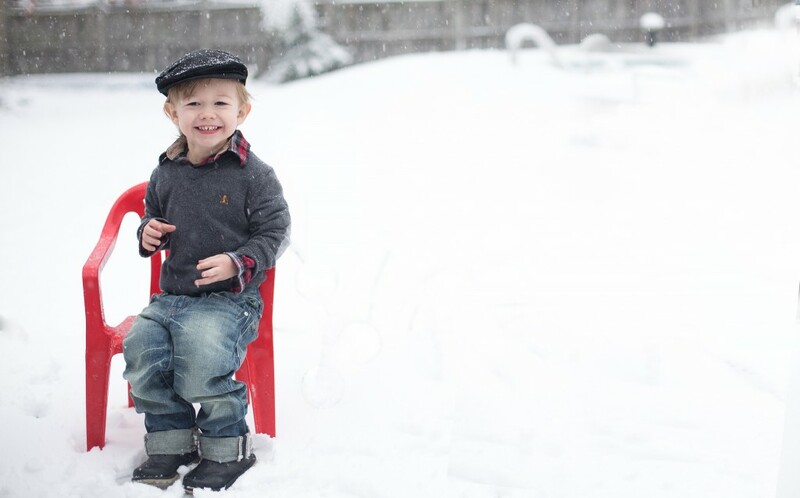 Set aside 3-5 minutes to take photos and then put the camera down and ENJOY the snow with your child. Capture the memories on camera and then enjoy the moment! 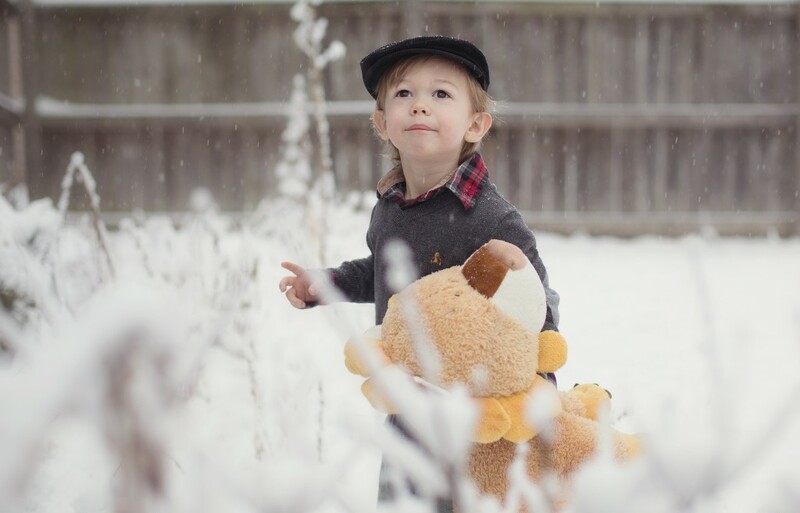 Posted: February 3, 2014 at 10:35 am in Uncategorized.